Osteopathy is a flourishing healthcare profession and is suitable for people of all age groups and fitness levels. It focuses on the diagnosis, treatment, rehabilitation and prevention of musculoskeletal disorders and we are frequently the first point of contact for patients seeking relief from a wide range of conditions. There is a mistaken belief that osteopaths just “treat backs”. In fact osteopathy aims to restore normal movement to all parts of the body. Our work is based on the principle that the well-being of an individual depends on the skeleton, muscles, ligaments and connective tissues functioning well together. We work to restore your body to a state of balance using touch, physical manipulation, stretching and soft tissue work to increase the mobility of joints, relieve muscle tension, enhance the blood and nerve supply to tissues and to help your body’s own healing mechanisms. 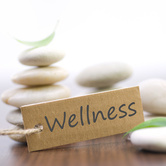 We believe that the body has an intrinsic ability to heal, and the care we provide focuses on treating the parts of the body that have caused or are maintaining the symptoms, rather than just the symptoms themselves. Osteopathy combines highly skilled diagnosis and treatment supported by practical lifestyle advice to enable patients to maintain their optimum physical health. This holistic approach ensures that all treatment is specifically tailored to the individual patient. Osteopathy is regarded as an effective treatment for musculoskeletal disorders and the British Medical Association’s guidance for GP’s states that doctors can safely refer patients to osteopaths. To qualify, osteopaths will have completed rigorous training which includes four years of full time study for their Degree in addition to undergoing a minimum of 1000 hours of clinical training. We are regulated by the General Osteopathic Council and are required to update our training on an annual basis.